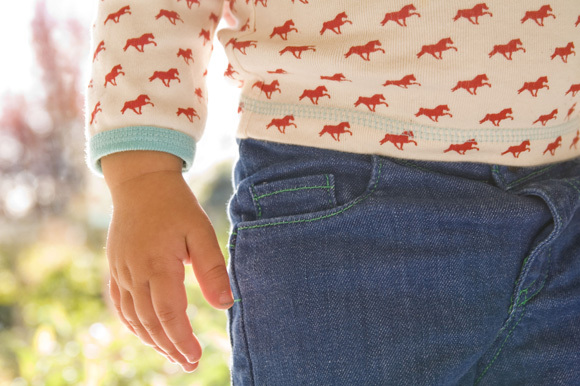 Meet the mama behind Green Gamboni's Cloth Diaper Friendly Jeans! Since Green Gamboni is the sponsor of our fabuolous giveaway this week, we thought it would be fun to interview her as well so that you guys can get to know her and her company better! Green Gamboni was started by Anne, a cloth diapering mama who saw a need for toddler jeans that would accommodate cloth diapers and decided to create them! Where did the name Green Gamboni come from? Years ago, on the beautiful Mendocino Coast of California, some good Italian folks (including members of my family) discovered a wonderful mushroom known to many as porcini (or little pigs). Thinking that the delightful mushrooms looked more like chubby legs than little pigs, they aptly coined them gamboni (big legs). I love the mushroom. I love chubby little legs. And, well, I love to say the word. Gamboni. Gamboni. Gamboni. What has been the hardest part about starting your own business so far? 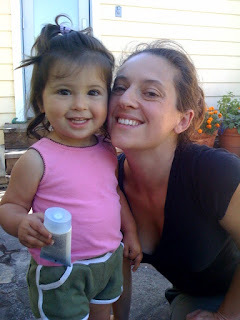 The hardest part of my business so far has been balancing the work of being a mom and dedicating time to my business. I find myself checking email on the fly and doing my work during naptime. their tots really well. This is the reason why I wanted to start this business in the first place...to fill this need. So as you can imagine, it is totally gratifying to hear such positive feedback and reviews! Any future goals for Green Gamboni that you'd like to share? I am planning on launching my greencycle program later this Spring which I am excited to get going: http://www.greengamboni.com/greencycling.html I also hope to be doing a lot more wholesaling by the end of this year. 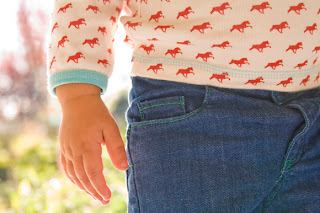 I hope that you will soon be seeing my jeans in all of your favorite cloth diapering retailers! *Don't forget to become a Fan of Green Gamboni on FaceBook and also enter our Green Gamboni Giveaway which ends 04-15-11.